The average office employee spends 56 minutes per day using their cell phone at work for non-work activity; while employees aged 18 to 34 spend an average of 70 minutes on their phones, mostly on personal email and social media. Smartphones make life easier, but also create a lot of distractions. 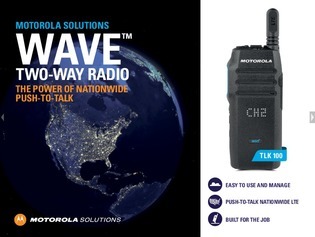 Push-to-Talk (PTT) devices can be a good alternative, especially for hands-on industries such as construction, transportation and private security. These devices enable users to talk instantly, without the dialing, routing, ringing, and answering steps of a regular phone call. Download this white paper to learn more about PTT, and how it can help your organization communicate clearly across the country.